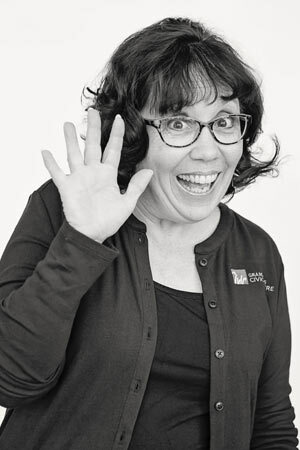 Pam has directed the following shows at Civic: James and The Giant Peachin 1995, Free To Be You and Mein 1999, The Giverin 2013 , Sideways Stories from Wayside Schoolin 2016 and Number the Starsin 2018 as well as two GRCT traveling troupes. She has also hosted summer directing workshops at Civic for teachers and taught Acting 4. Pam has also been involved at Circle Theatre where she has stage managed, performed and also directed Tales of Fourth Grade Nothing,Bunnicula, Henry and Ramona, 13Bells of Bogelwoodand Mossy Cape. She has over 30 years experience directing high school students at Kenowa Hills, Creston and East Grand Rapids High Schools. She is currently the communications teacher at East Grand Rapids High School and teaches a variety of classes including film studies, video production, theater, and public speaking.